We need your help to save a beautiful young mare who has no other option. “Mila” meaning peoples love (as we know everyone will love her) has sustained some very nasty wounds after a horrible transport accident today. Her owners do not have the money to treat her and she will be processed if we don’t take her. These wounds need the right care and will be a lengthy and costly process but we feel we can help her and can’t turn our backs. Don’t you agree she is worthy of our help? We must raise the funds to help Mila. 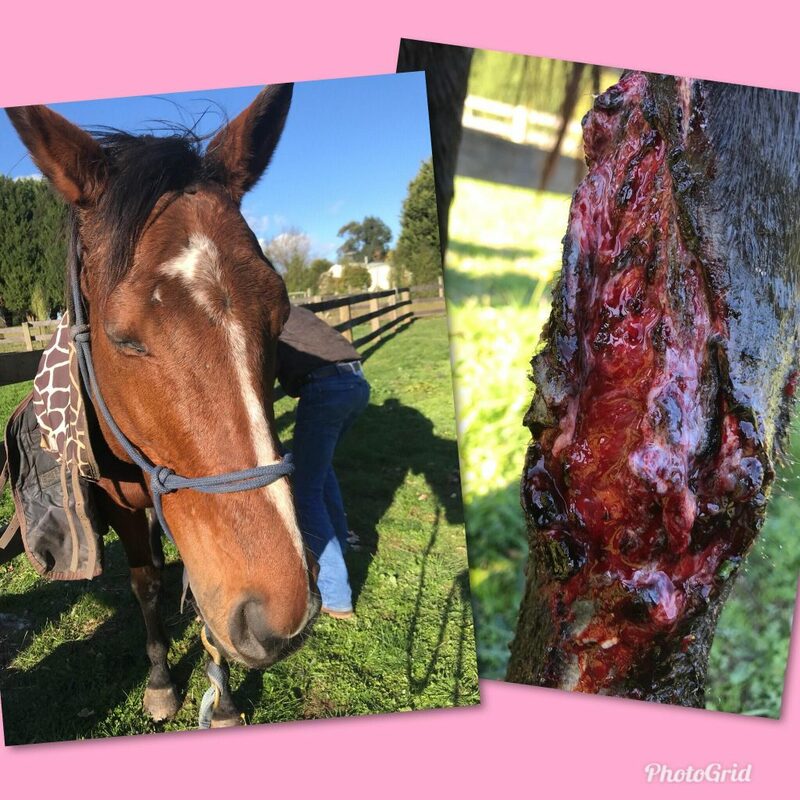 She will need vet care/minor surgery, stabling, intensive wound care plus all her vaccinations, medications, feet, teeth and worming. Hope all goes well for this sweet girl and she makes a full recovery. Wish I could give more but only on a pension. May the God bless you all for the wonderful work that you do. Fingers crossed ! I hope beautiful Mila pulls through ! Best wishes for your recovery Mila. Poor, poor girl. What a nasty wound. What a wonderful job you do. Thank you for helping this lovely girl and yes i agree, she does deserve to be cared for and nursed back to health. Hoping for a speedy recovery Lucy. You are in good hands.